The 10-part Samsung Galaxy S4 Online User Guide is the HTML version of Samsung Galaxy S4 User Manual. The content is almost identical to that in the PDF version. Each topic is in an individual page. Navigation is provided to each topic and to each part. So, this online user guide is for galaxy S4 owners who need check the user manual occasionally but do not want to save the whole PDF file. The Samsung Galaxy S4 Handbook (in PDF format) is a pictorial book illustrating major functions of Galaxy S4 and their usage. A lot of S4 owners found this handbook is really useful. It is not as robotic as the User Manual. Of course, it is not comprehensive and only selected features are illustrated. Anyway, Samsung Galaxy S4 Handbook is quite interesting. Even your kids may like to read it. There are several different languages for this handbook. We combine this handbook and user manual in one page for each language. This would make it convenient for you to download or read online. Samsung Galaxy S4 Customer Consultant Guide is the guide for S4 sales and technical support staff. Sometimes, you are wondering how the guys in the service centre can answer all your questions, sometimes even before you finish your question. They use this guide! This Samsung Galaxy S4 Customer Consultant Guide is in FAQ style (sometimes, we just refer it as Galaxy S4 FAQ Guide) . There are 140 questions (of course including answers) addressing many possible questions or problems or concerns you may have when using Galaxy S4. We always recommend all S4 owners to download a copy. You can download the PDF version of the Galaxy S4 Customer Consultant Guide , or read it online with our embedded document viewer. 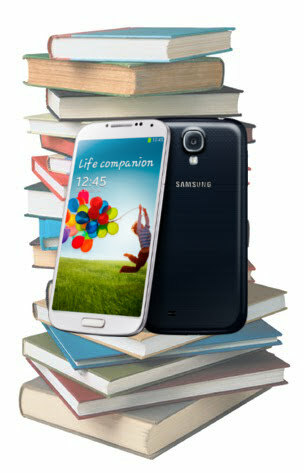 Part of the contents was added to the Samsung Galaxy S4 Features Explained pages already. I hope now you are clear how to find the relevant documentations for your Galaxy S4. We are also adding Galaxy S4 Tips section. If you have any suggestions, please leave your comment there.